This is a highly debatable topic, whether among locals or visitors. Based on my countless experiences to the following restaurants and others, here are my favorites of the moment. My absolute favorite crabs are listed at the bottom of this post, under Other BEST Crabs. Plus, here are two tips. Crab Tip 1: For those who are squeamish or lazy about peeling your own crabs, a number of the chain restaurants have service staff who will put on gloves and de-shell it for you. Crab Tip 2: But it always tastes better when you do it yourself. Eat: Their secret ingredient is peanut sauce, making the gravy richer and creamier. They have multiple locations, but I recommend their East Coast outlet. Eat: The chef uses the unusual combination of orange juice and tomato sauce for a subtle and refreshing touch to Singapore's famed chilli crab. The crab quality in general is top notch, fresh and succulent. I've only been to their Orchard Central location, so that's the one I'll be listing (the other is in Jurong). 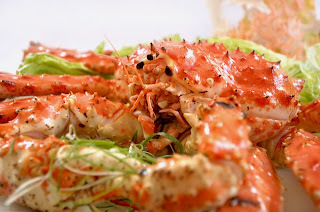 Eat: My friends at Appetite magazine and I concluded that the black pepper crab here is more complex and refined than the other major seafood restaurants. Eat: Likewise, I've found that the black pepper crab here is more complex tasting than competitor restaurants' that generally taste of just plain black pepper and butter. Mellben also never failed to serve us fresh and ultra-meaty crabs in the dozen times I've been. Eat: Their Sri Lankan crabs in this dish has that sharp white pepper spice that hits your nose in a way that you can appreciate. Consistently well cooked with excellent service to match. Eat: They use Alaskan King Crab for their white pepper dish. The price is outrageously high (we're talking hundreds of dollars per crab), but it won't fail to impress in visuals or on the taste buds. Eat: The claypot crab beehoon is unbeatable. I always dream about the spiced, milky broth; a wealth of umami on the palate with what must be crab roe boiled into the stock. Eat: I've been bringing friends for their Curry Crab the entirety of 2012 and am still not tired of it. I'm surprised how little it's mentioned these days, because the curry crab is something special with its savoury laksa curry. 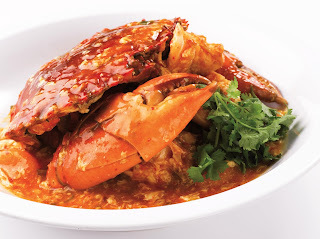 This is a crab listing, but you also have to try the Teochew style cabbage chicken. Eat: Salted egg crab at their Geylang outlet is intense on the salted egg, in a good way. No Signboard used to be one of my favorites for chilli crab, since their gravy is more reminiscent of curry rather than overly tangy with tomato sauce. Unfortunately, the last 4-5 visits to their Esplanade and now shuttered East Coast outlet consistently served me disappointingly meatless crabs. If I go these days, it's for their wonderful deep fried baby squid, cereal prawns, and salted egg crab. Eat: The "Kopi" Crab is the newest Singapore crab innovation in town. The saccharine glaze is made of three varieties of coffee beans and apple marmalade, then flambéed tableside with coffee liquor. There seems to be an influx of NOLA (New Orleans, Louisiana) restaurants in Singapore. Here's the full list. If you think a place deserves to be considered, please message me, twitter me or leave a comment below. Great job by the blog writer. I was looking for some great piece of information and thankfully I found it here. It’s really updated my knowledge quotient. Those crabs looks delicious, nice!